Newt Gingrich may have surprised a lot of folks with his announcement that he wants to put a permanent base on the moon. But maybe they shouldn't have been surprised. After all, the original Men in Black film revealed to the world that Gingrich is actually an extraterrestrial. 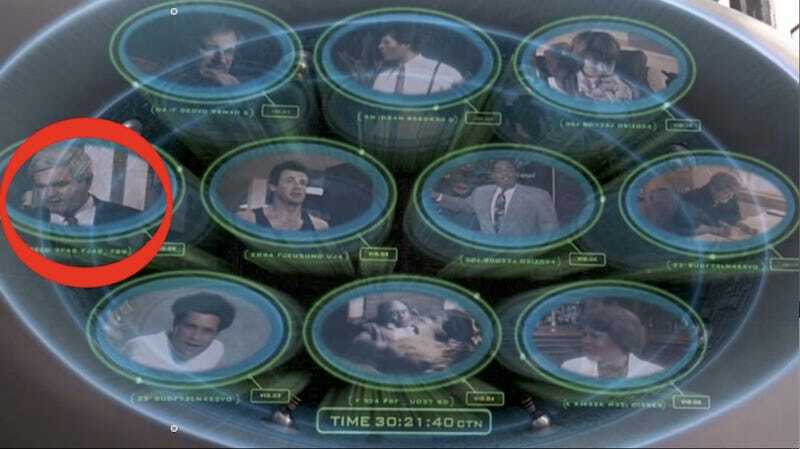 Thanks to eagle-eyed readers Jared and Tim for spotting Gingrich's mug in the MIB's alien monitoring screen. So what plans does alien Gingrich have his lunar base? Is it a way to get around the MIB's pesky customs agents? Or will it be a launching point for Gingrich to return to his home planet? I suppose there's no use asking for his long-form birth certificate, though. I imagine MIB has a crack forgery division. Image from Jared D. Weiss.